If you’ve got a sloped section that you want to make better use of, a solid retaining wall could be just what you need. 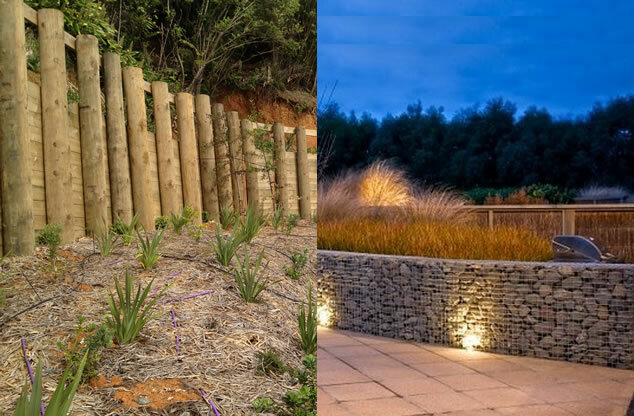 With over 20 years experience on all kinds of difficult sites, we can build you a high quality retaining wall of any size, just about anywhere. We’ll help you choose a wall that suits your house style and your budget, whether you’d like the classic wooden retaining wall, or a more modern gabion basket for that designer look. We regularly work with home owners, architects & house building companies - if you have plans already drawn up, we can build according to these, or create our own to suit your requirements. 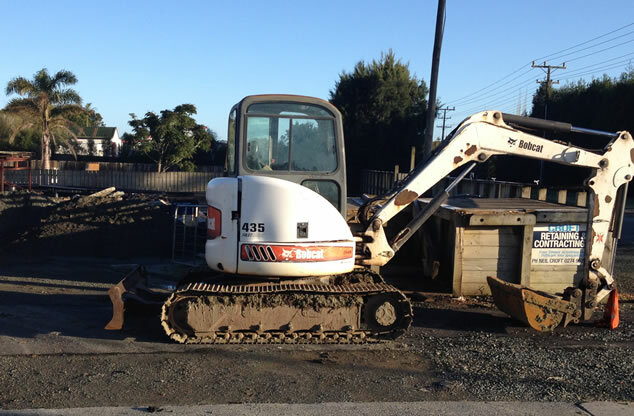 Our earthworks division caters to just about any site work you need - whether it’s preparing for a retaining wall or driveway, or getting ready for landscaping your backyard. 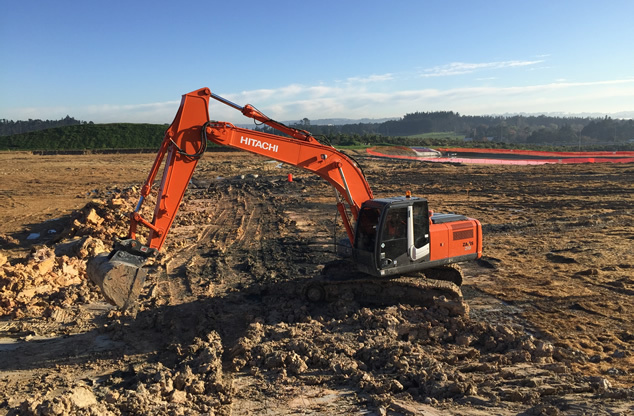 We also work with architects and developers on excavation and earthmoving jobs, to prepare sites for new houses or commercial buildings. With a large range of modern machinery and equipment, we can work quickly and efficiently to get your site ready for the next project. 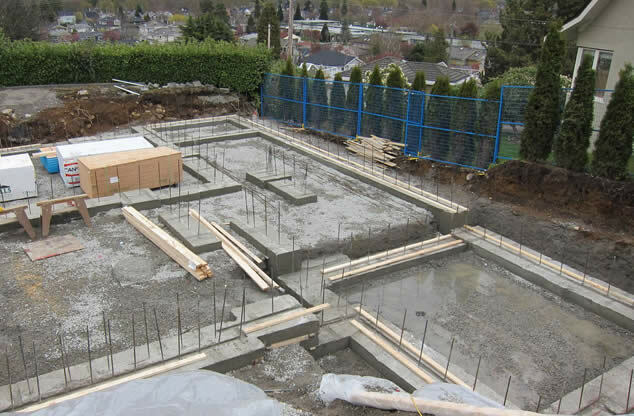 Concrete foundations or footings act to support the walls and weight of the house, so it’s incredibly important get these right. That’s why we assign our most skilled operators for all foundation jobs, to ensure they’re accurately digging the footings. Sticking to the builder’s measurements ensures that we use the correct amount of concrete as budgeted - so you don’t end up with any surprise bills for more. And unlike most contractors, we don’t mind getting out of the digger and giving the building team a hand when we’re in between tasks. We pride ourselves on our great communication with the builders working on-site, and work cooperatively to get things done efficiently. As it’s the first impression that visitors get of your home, you don’t want a cheap contractor doing a shoddy job on your driveway. At Linwood, we carefully create a solid and visually impressive driveway that won’t crack or break. We can build driveways on sloped or flat sections - curved or straight - to last you for decades. Before we lay a new driveway we make sure to work with existing pipes and cabling underneath, or add these in as we work to ensure proper drainage or connections to electric gates. Concrete driveways are perfect for residential and urban areas, and gravel driveways are the best choice for more expansive or rural areas with a lot more coverage required. Before you can start building a new house, or developing a property, you may need to get rid of old structures on your site. 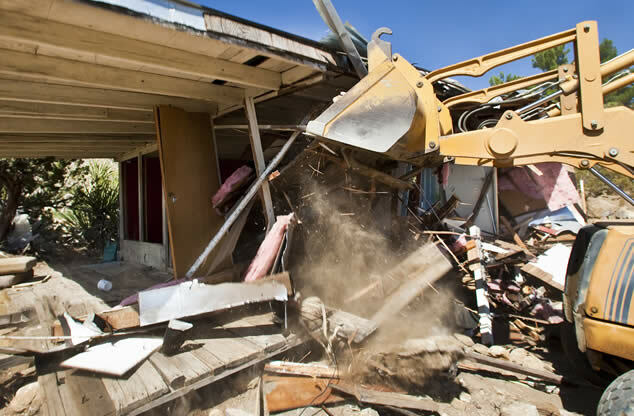 Our team are experts in safely demolishing old concrete pads, sheds, garages, concrete pools, or houses to make way for your new project - and removing all the trash that comes with it. We can also assist with house removal, and get rid of any extra debris or vegetation leftover on your property after the house removers have left - especially the bits which your house removal company leave behind. Let us turn your rough or tired yard into a well-prepared space, for your dream outdoor living area. After our earthworks team digs up the topsoil, we’ll re-spread this to create a smooth flat ground space and tidy up the area - ready for your new lawn, concreting, or planting. We also build fences or screens for added privacy, and retaining walls for those sloped sections. Our experienced team make sure to clear your property properly and remove any debris or rubbish. Piledriving is a key element in creating reliable foundations for houses, retaining walls, or other residential or industrial structures. 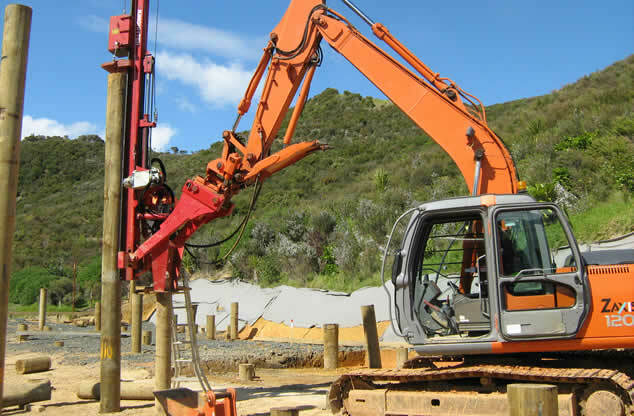 Piles are driven into the ground using our quality hydraulic impact hammer, and every care is taken to ensure piles are safety rammed, without upsetting surrounding foundations. Our experienced team can carry out piledriving work on any site, regardless of the contours and slopes or limited access. 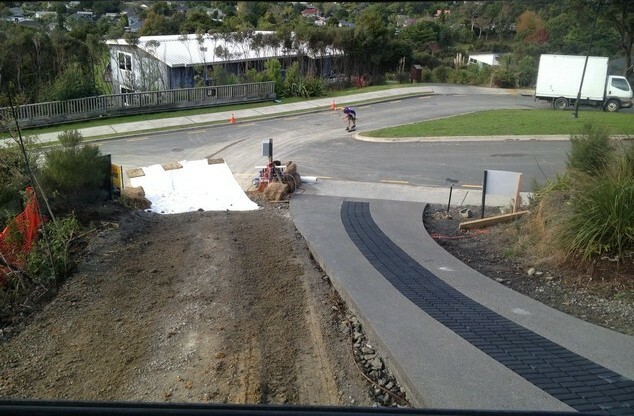 © Copyright 2014 Linwood Contracting NZ Ltd. All rights reserved.